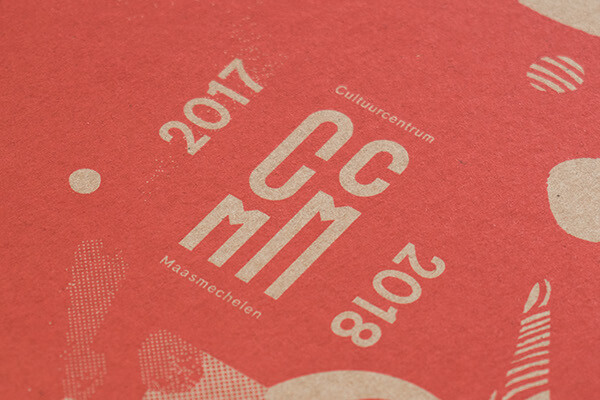 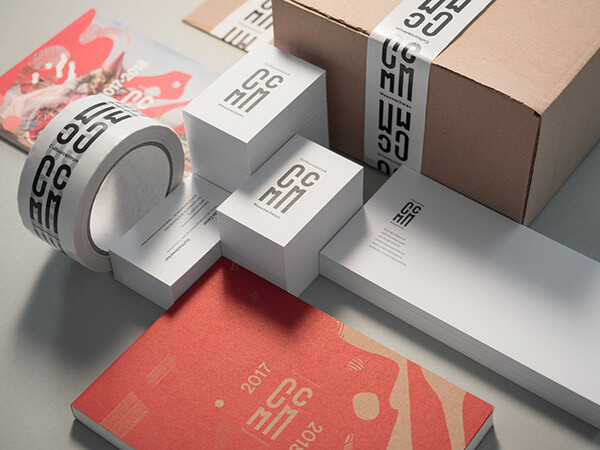 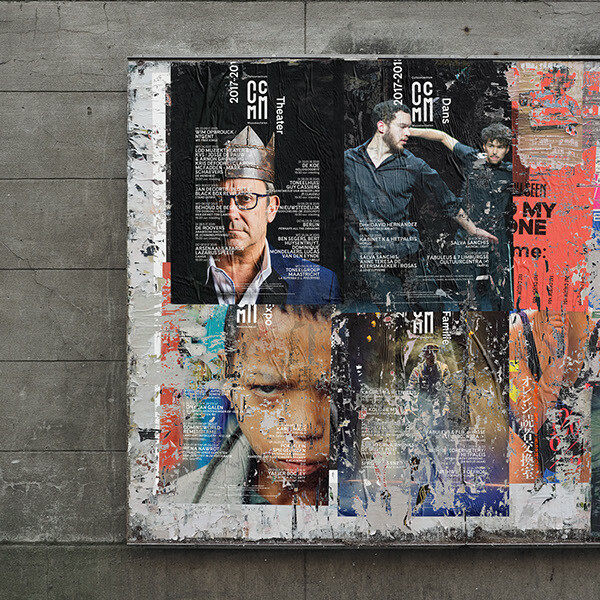 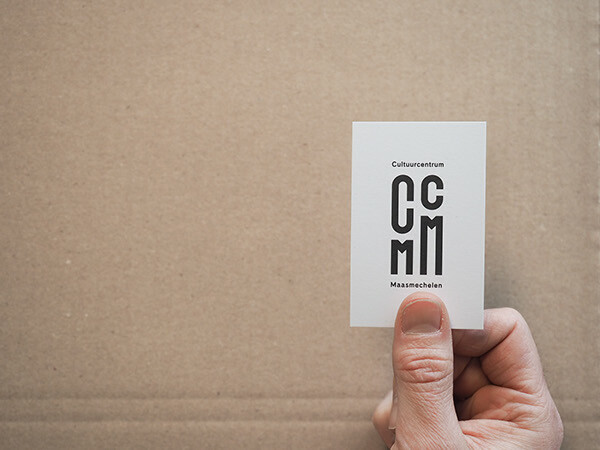 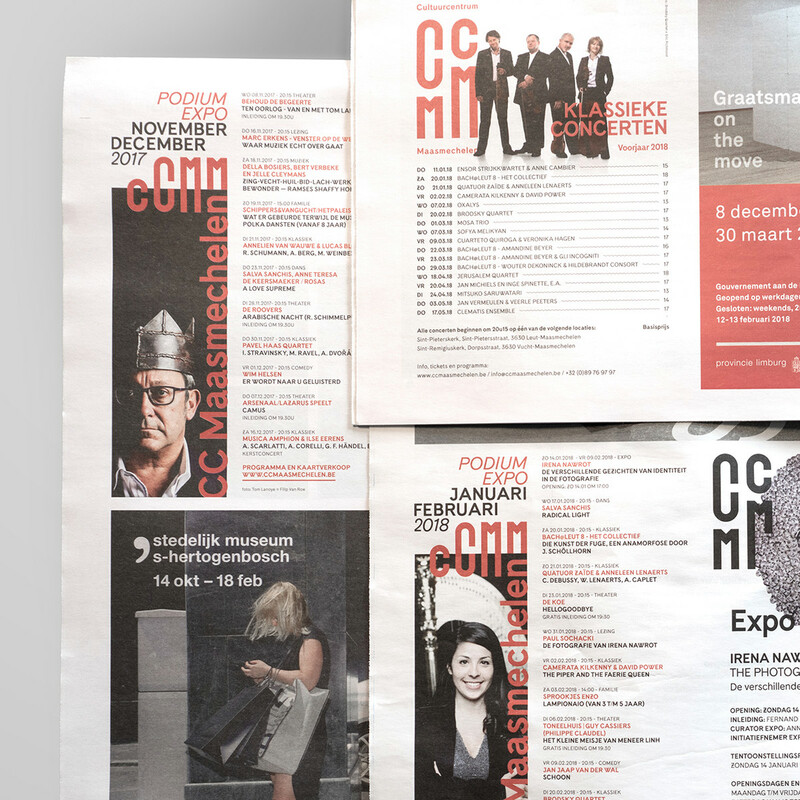 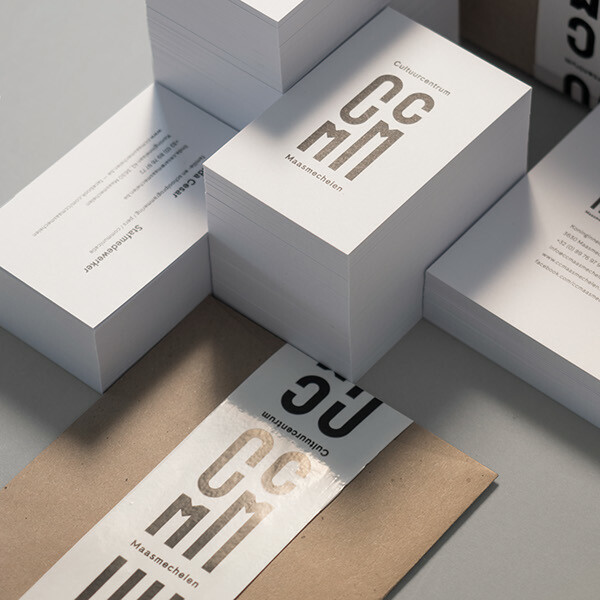 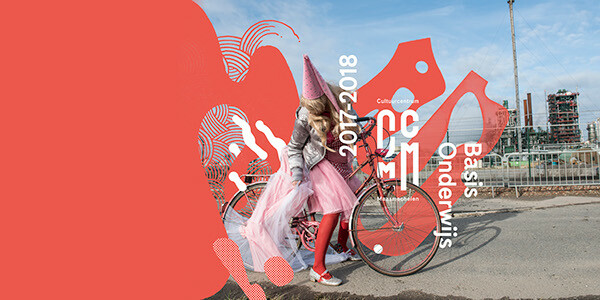 New identity for CC Maasmechelen (BE) — CCMM never really had a fixed identity, it just switched along with the design of the seasonal catalogue. 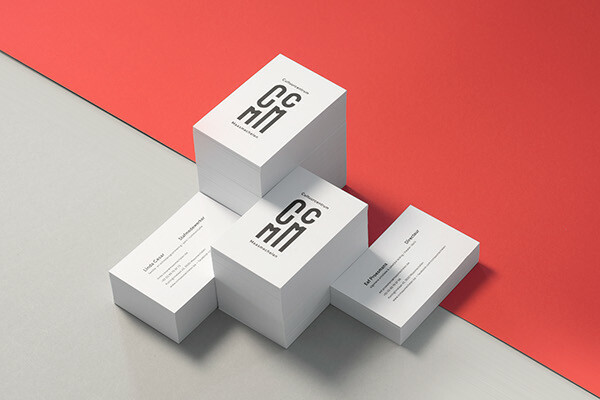 Time for a solid, strong brand. 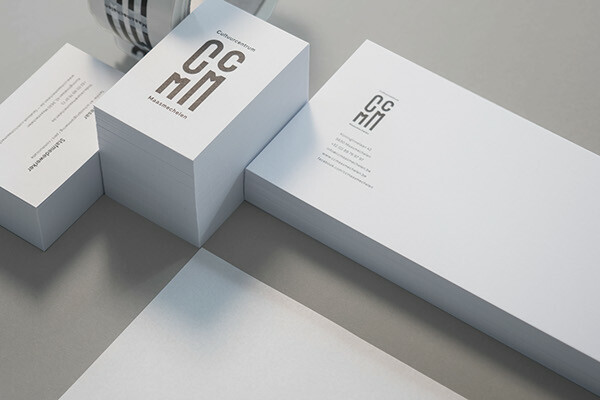 So here it is, featuring a simple and bold lettercombo, resembling matching pieces, young & old, communicating characters. 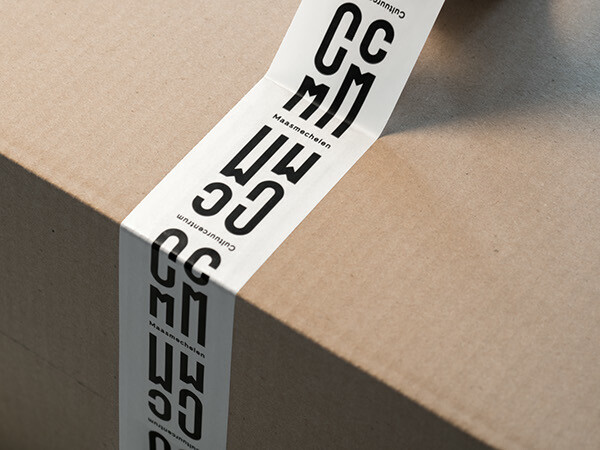 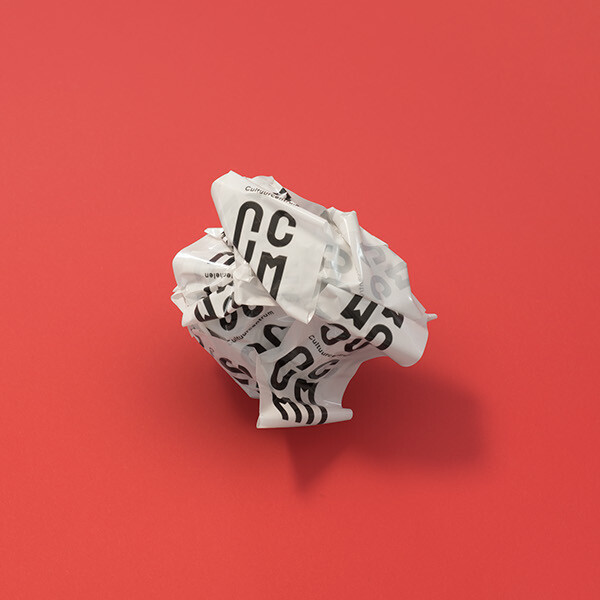 The typographic shape is built on a modular grid, easy to adapt and implement in most circumstances or environments. 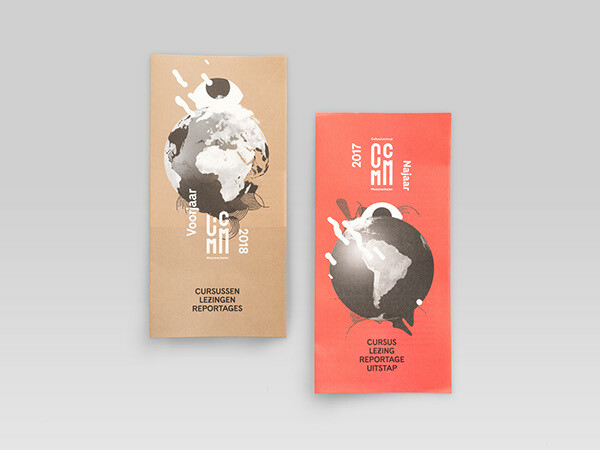 A couple of main variations were used throughout, while some were to be altered in the design itself. 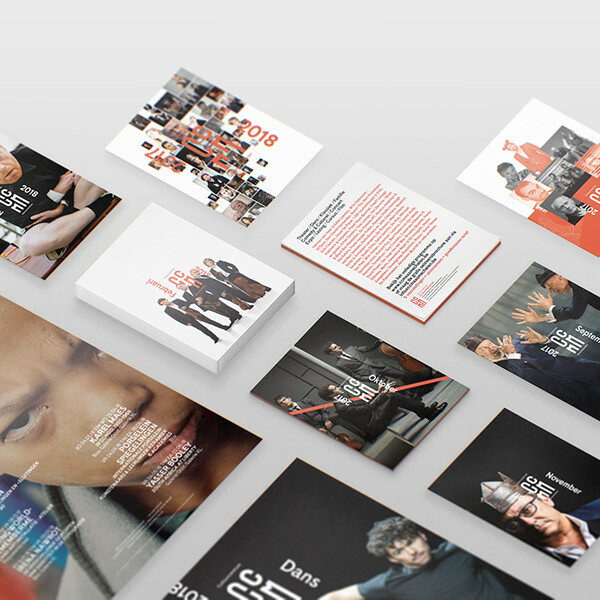 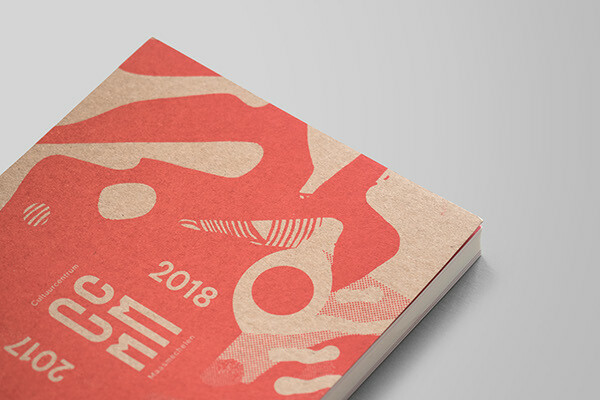 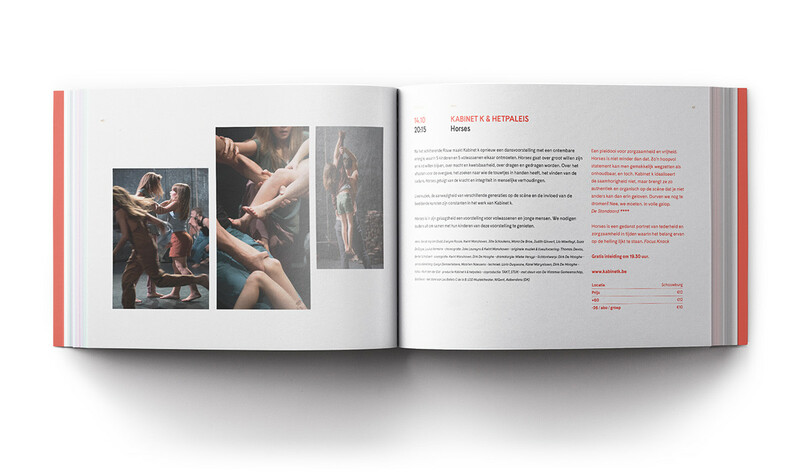 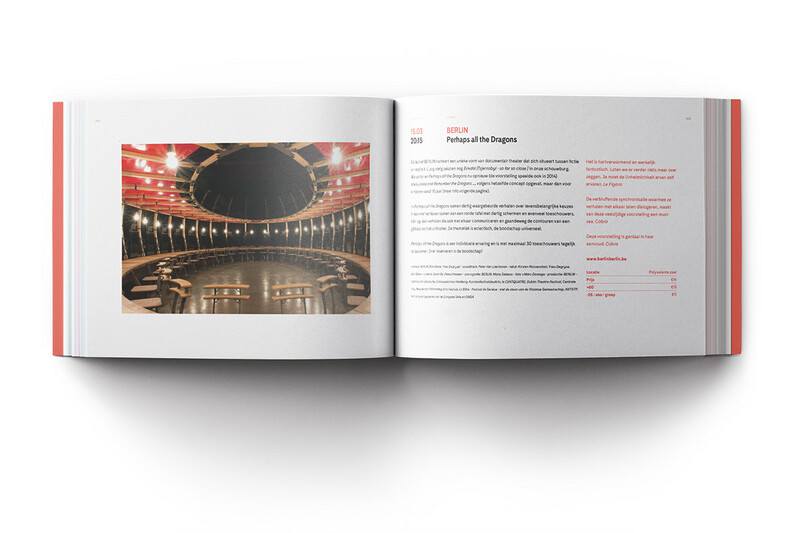 Next step was to implement the new logo and identity style in all of the collateral: school brochures, folders, flyers, posters, advertising, and most of all, the annual catalogue — silkscreen-printed on a craft, cardboard stock. 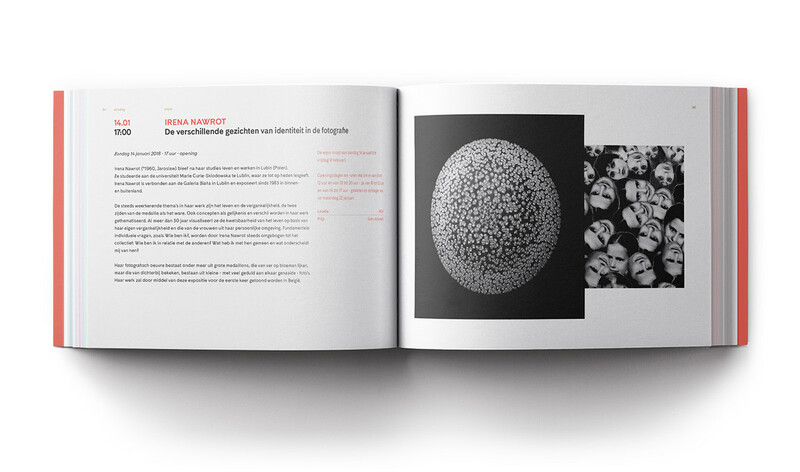 The cover is a remix of the abstract works of Belgian designer and painter Karel Maes (1900-1974), who was commemorated in a big overview exhibition this season.